Let me start by discussing WordPress: Most everyone is familiar with this popular blogging/CMS platform. After all, it is one the most widely-used platforms in the world for website building and blogging. The reason WordPress is so popular is because it offers complete customization and gives full control to the user. With WordPress, you can easily customize and code pages as you need to: you can add new blog posts, approve or remove comments and install a lot of plugins. Whether you are a web developer or a total beginner, getting started with WordPress is extremely easy. What’s So Awesome About Cloud Hosting? “Cloud hosting” is the new, hottest trend (and a very popular marketing buzzword) in the hosting industry. The reason for it being such a trend is because cloud hosting has major benefits over the regular shared server, virtual private server (VPS) and dedicated hosting server. “In the cloud” means that a website is not hosted on just one server but spread across multiple servers, which act as one system. So instead of relying on just one machine for resources (such as RAM, disk space, bandwidth, etc. ), in cloud hosting, you can pull resources from multiple servers—empowering you to scale your website as you need to. The major benefit of cloud hosting is that it enables you to add and remove resources when needed, and you can pay as you go. All the cloud servers are fully optimized to run WordPress successfully. Moreover, your hosting company has a technical team that is familiar with WordPress, so they can handle any server-related issue. Each cloud server is thoroughly tested by running different versions of WordPress and fixing any issue that could arise. WordPress cloud hosting solutions are fully managed by system administrators, database admins and technicians. WordPress related issues are solved by a team of WordPress experts; these experts have various tricks up their sleeves to successfully run a WordPress site on a cloud server. The team of experienced WordPress experts takes care of automatic WordPress updates, plugin updates, speed optimization backups, server monitoring, maintenance, etc., so you can sleep sound knowing your website is in good hands. Cloud hosting for WordPress offers the capability to scale the server resources (RAM, disk space, CPU cores, bandwidth) as per the website requirements. So, if suddenly your website or blog sees a spike in traffic that your server can’t handle, you can easily add more resources to it. This comes in handy during peek business seasons because you can add resources to handle your site’s increase in traffic—and then scale down again as traffic declines. Every server crashes at least once, which will cause your website to go down. However, with the cloud that’s not the case as your WordPress website is hosted on multiple servers: If one server crashes, the other one kicks-in, ready to keep your website up at all times. Cloud hosting greatly increases reliability by reducing server downtime. A CDN is used for fast and efficient delivery of content over websites. Users today lack patience, and they need content to be delivered to them fast. A CDN can help achieve this. With a CDN, a website is replicated over multiple different locations, like throughout Asia and Europe. So if somebody from Japan accesses your website, a CDN server from Asia will deliver that request, and if somebody from Spain wants to look at your site, the server for Europe will serve that user. WordPress cloud hosting is the best, most cost-effective way to host a website. Cloud hosting is a trend that’s here to stay because of the many benefits that it has to offer. If you have a WordPress site and are in the market for an ideal hosting solution, then hosting WordPress on the cloud should be your choice. 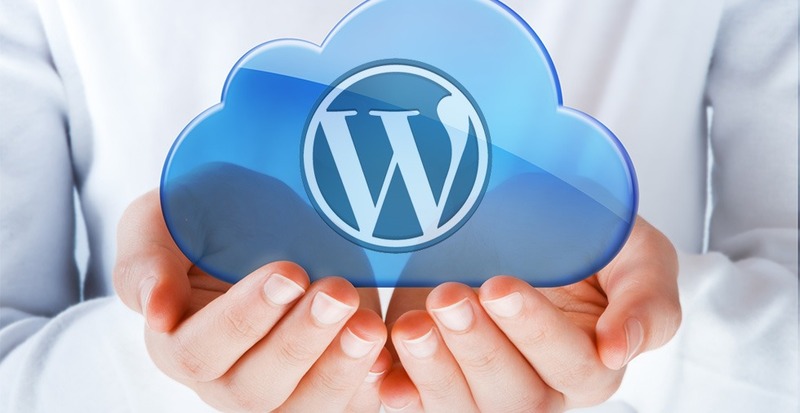 Launch Your WordPress site on the Cloud with Fully Managed WordPress Cloud Hosting! Is Your WordPress Under Attack?